So I am sliding into home plate. 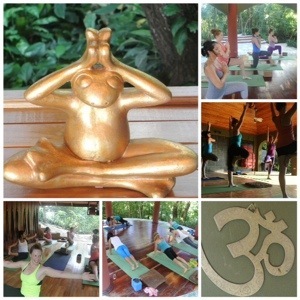 Wednesday afternoon marked the first yoga class I ever taught and it was a fantastic experience. Stomach full of butterflies, dressed in my favorite yoga clothing (some of the items gifts from my wonderful friends) I pumped out some jams by Pitbull to psyche myself up and prepared myself to lead a 90 minute class. As my students/group mates slowly started to line into the studio my heart began to race and it took everything in me to remember to just breath. As everyone found their seat and began to settle in we opened the class up with a little meditation,and then got right into it a vigorous vinyasa. After about 10 minutes I forgot that I was leading the session and everything it felt as, though the class took care of itself. It was such and amazing experience being surrounded by such supportive classmates and faculty. Sorry for the coles notes version of my teacher experience but I am off to class, I have another two days before I am officially on vacation for a week. Once I get back to Canada I will be back tracking a bit to fill you all in on the wondrous adventures of yoga teacher training. 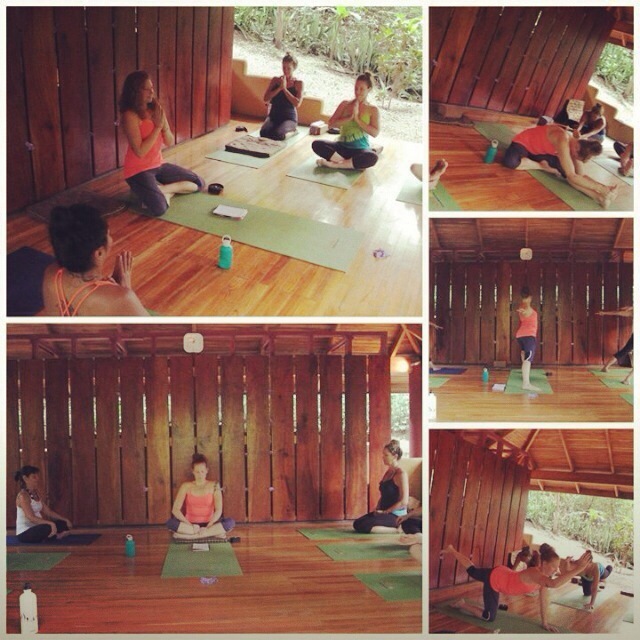 This entry was posted in Yoga and tagged Costa Rica, experience, nosara yoga, NYI, practicum, teacher training, teaching, yoga, yoga class by healingginger. Bookmark the permalink.